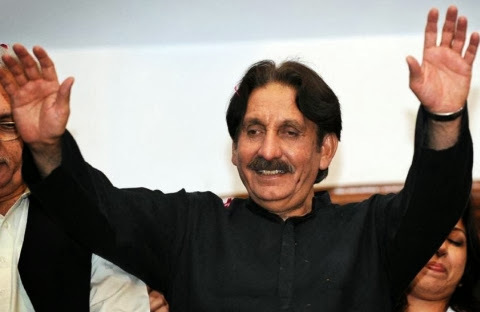 Chairman of PEMRA has said that his authority had issued fifth licence to Geo TV on the instructions of a bench of the SC headed by Chief Justice Iftikhar Muhammad Chaudhry. Speaking in Khara Such hosted by Mubasher Lucman which is a private television programme, PEMRA Chairman Rasheed Ahmed admitted that the regulatory body issued five licences to Geo. He also acknowledged that, according to PEMRA legislation, the authority could issue only four licences to one media group. According to the Rules, Section 13(1) of The PEMRA Rules, 2009, was added “to ensure that fair competition is facilitated, media diversity and plurality are promoted”. The programme host, Mubashir Lucman, said that Justice Chaudhry ignored the corruption of Geo group.